Posted in Research News on July 12, 2018 by emily.summars@noaa.gov. Researchers in front of a mobile radar unit and the NOAAP-3 airplane used in VORTEX-Southeast. NOAA researchers from the NOAA National Severe Storms Laboratory had a different view of tornadoes this spring — flying high above them in a NOAA P-3 “Hurricane Hunter” aircraft. During the Verification of the Origins of Rotation in Tornadoes EXperiment-Southeast project, or VORTEX-SE, scientists collected data on several isolated supercells and large convective systems during a short time span with airborne Doppler radars mounted on the P-3, a lidar operated by the University of Wyoming, and ground based mobile and fixed radars. 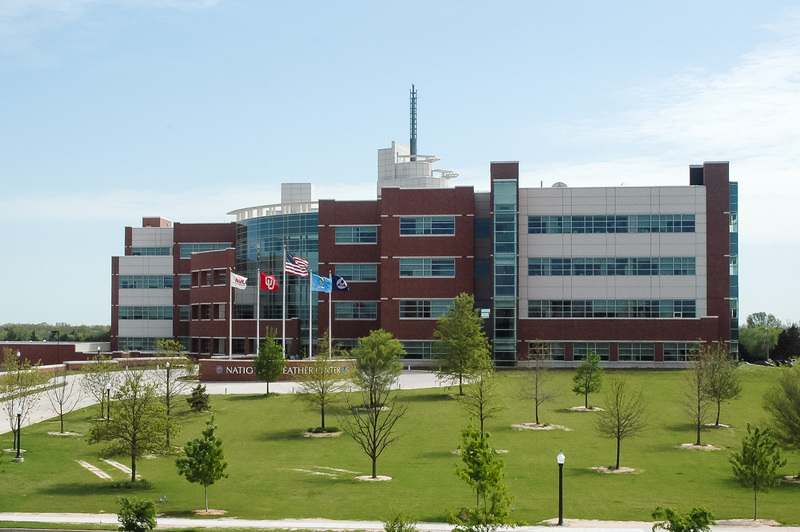 NSSL scientist Conrad Ziegler recently presented preliminary findings from the project. From early March to mid April, the researchers concentrated observations on severe weather processes in supercells. 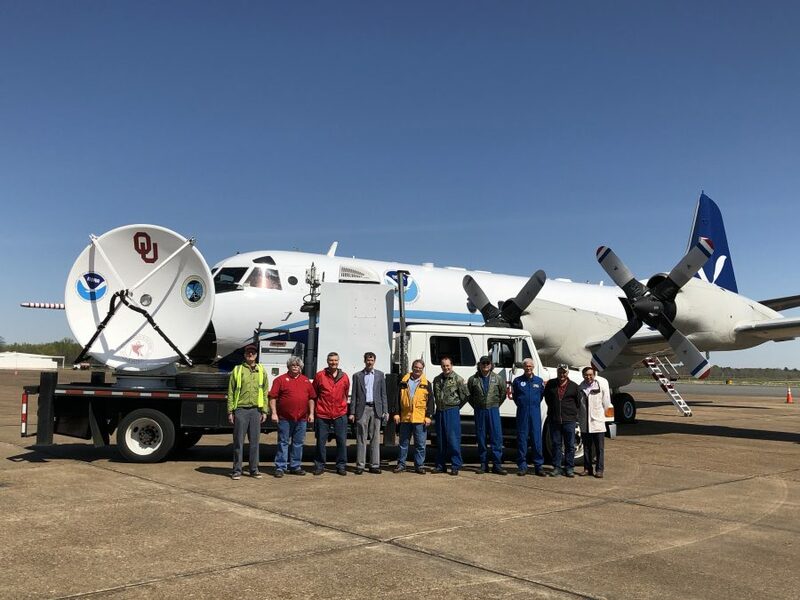 They conducted missions with the NOAA P-3 on eight days and gathered data on a total of 10 tornadoes from four supercell thunderstorms. This spring also provided the first opportunity to combine observations from the P-3’s airborne radars with other ground-based radar measurements of the same storms. The result and goal was to derive a more accurate and detailed storm airflow analyses. On April 13, 2018 — the last P-3 mission day before the end of the project — Ziegler, along with colleague Kim Elmore and a team of researchers, followed a single cycling supercell storm for over two hours observing the growth, maturity, and decay of three different tornadoes. Use of the P-3 allowed researchers to position themselves closer to storms in a safe way while retrieving higher resolution radar scans and images of a tornado’s life cycle. 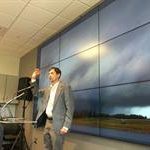 They were able to fully analyse the atmosphere’s features without impeding terrain to achieve the ultimate goal of better understanding the growth of intense low-level storm rotations that typically accompany severe weather.